Mileage you need. Power you want. 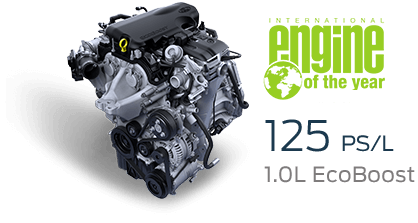 The award-winning EcoBoost® is Ford’s most technologically advanced engine ever. 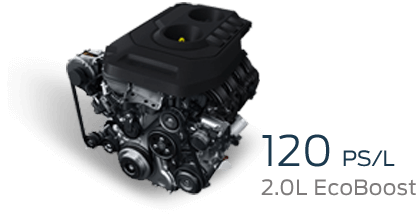 Delivering up to 20% better fuel efficiency with outstanding performance, it truly offers the best of both worlds. 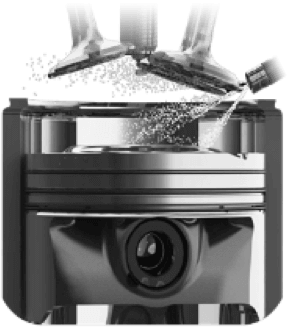 A high-pressure fuel system injects fuel directly into the combustion chamber, regulates how much fuel is needed at any given time, and cools the charge to enable higher compression ratios. 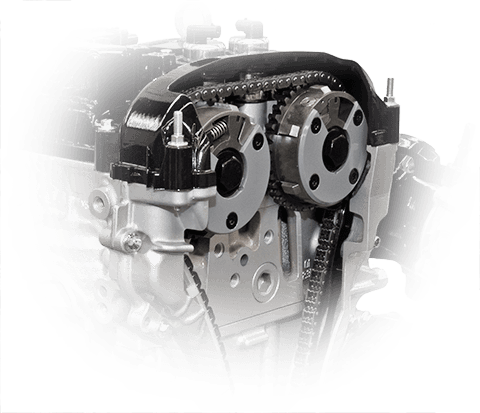 This greatly improves efficiency while while generating more power compared with a port-injection engine. 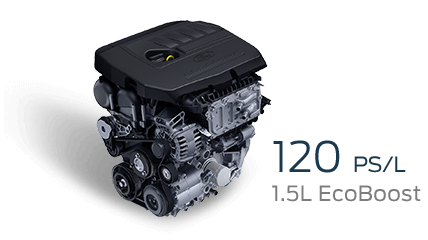 EcoBoost engines precisely control the intake and exhaust valves to match changes in engine speed and load. The result is improved fuel economy, reduced exhaust emissions and increased low-end engine torque. 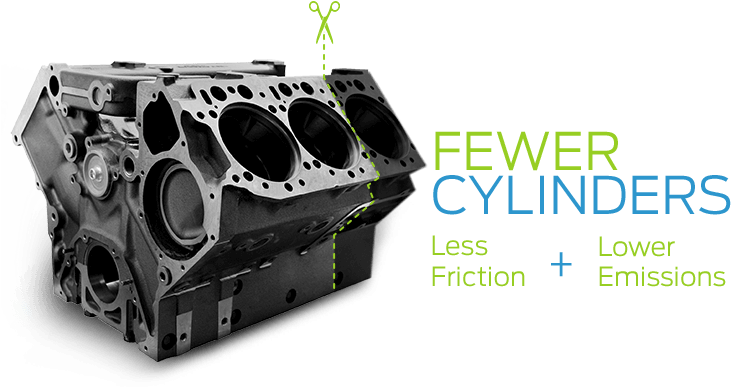 EcoBoost's lightweight design improves fuel economy, while fewer cylinders mean less friction and more energy saved. 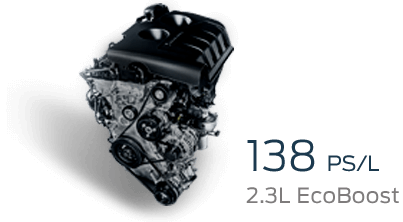 Yet, thanks to turbocharging and direct injection, EcoBoost delivers the power of a much larger engine. 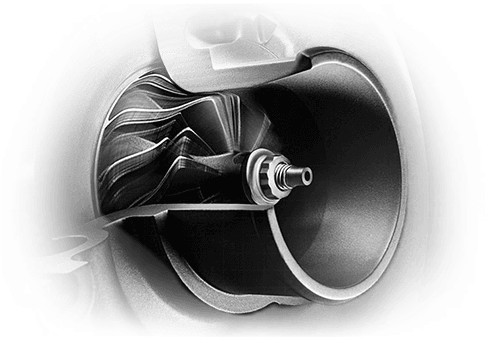 Turbocharging uses the engine's exhaust gases, which would otherwise be wasted, to push more highly compressed air into the engine. 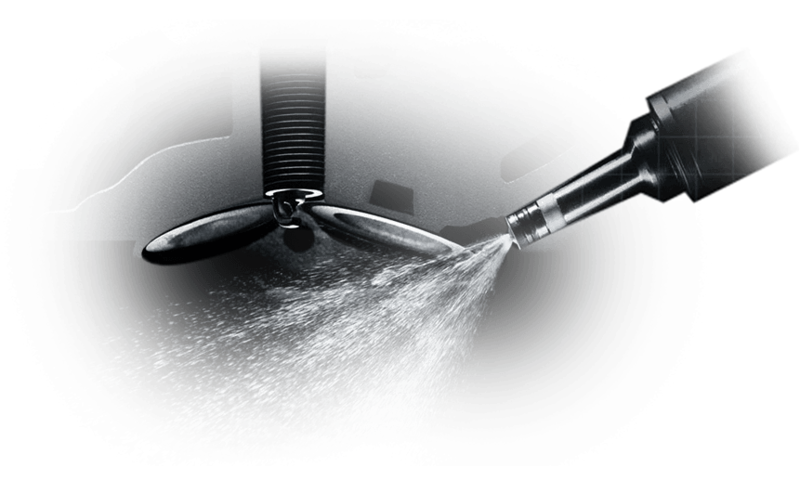 This provides a huge boost in power while the variable cam timing helps eliminate "turbo lag" at low RPMs. 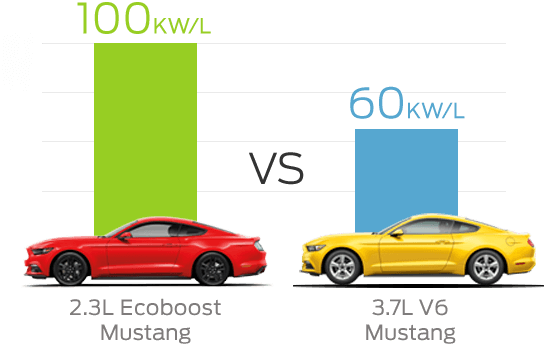 In 2015, the Mustang was launched with its first ever EcoBoost engine. Despite its smaller size, it generates 100kW/L. 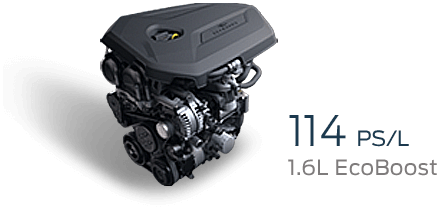 That's 66% more power per litre than the 3.7L V6! Ford's ground-breaking 1.0L engine has won eight engine "Oscars" in five years. It is the only engine ever named overall winner three times in a row.